Are these stones in Iraq's autonomous Kurdish region what remains of a city founded in 331 BC by Alexander the Great? 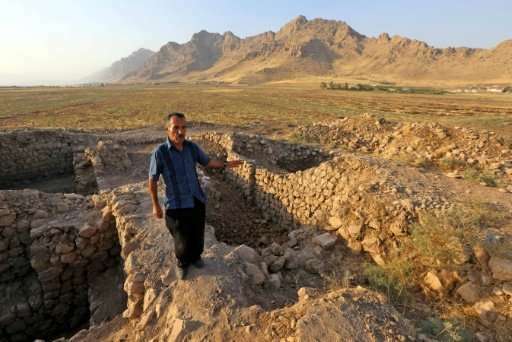 Ismael Nuraddini peers into a hole in the earth of Iraq's Kurdistan region at what researchers believe could be remnants of a lost city dating back more than 2,000 years. Pointing around the Qalatga Darband site, he recounts the discoveries of two statues that may help to prove this was once a thriving hub founded by one of the ancient world's most powerful rulers—Alexander the Great. "One of them looks like Aphrodite, the goddess of beauty in ancient Greece. The other one could be Alexander," Nuraddini, 62, tells AFP. Until recently the dig, some 330 kilometres (200 miles) northwest of Baghdad, was buzzing with activity as a team of 15 archaeologists from both Iraq and abroad worked under the stewardship of the British Museum in London to uncover more invaluable treasures. But now the site is silent as the foreign experts—two Britons and a Hungarian—packed up and left last week to avoid becoming stranded after a spat between Iraq's central government and the Kurdish authorities over a disputed independence referendum that saw Baghdad cut international air links to the region. "This is the first time researchers from abroad have had to leave," said student Rzgar Qader Boskiny, who has been working on a neighbouring dig. "They even stayed here when the Islamic State group came near," he said referring to the jihadists. The sudden disappearance of foreign experts has left Nuraddini guarding Qalatga Darband. That is a major job for the self-taught man from the nearby town of Ranya who in 2013 helped to guide foreign researchers to the 60-hectare site perched on the edge of a lake. Archaeologists who have been working on the site describe the find as "exceptional", but it will take the British Museum project years longer to determine if it genuinely was linked to Alexander the Great. Some believe it could be a major city from Alexander's empire that was lost from historical records for millennia. But even if those hopes prove unfounded, it is still an important find. "It was a strategic town, maybe even a provincial capital, that controlled the routes linking different worlds—Mesopotamia, Persia and Ancient Greece," said Jessica Giraud, the head of French archaeological mission in the region. 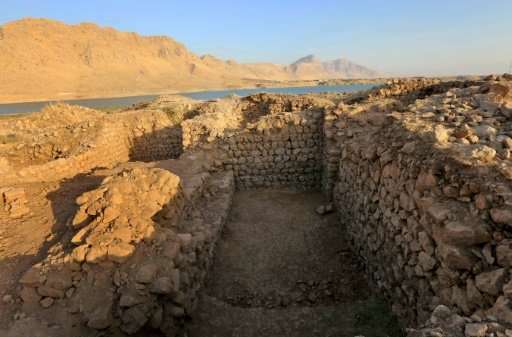 While the hunt for more clues about Qalatga Darband has ground to a halt, it was assistance from an unlikely source flying overhead that helped experts hone in on the ruins. Archaeologists used declassified images taken by the CIA's Cold War spy satellite programme in the 1960s to help them survey the site and better focus their explorations. An image of the area from 1967, seen by AFP, shows the outlines of ancient walls, roads and what appears to be a large building that researchers think was a fort and a temple. "Now we use these images for all our missions," said Giraud. "Thanks to them we have managed to speed up our searches fivefold." A joint French-Iraqi mission to map archaeological finds has already found some 354 sites in the region. Experts put the density of finds down to fertility of the land and the fact that the area was at the crossroads of major kingdoms. The British Museum project began last autumn and is set to run until 2020, but the current disruptions could mean delays in answering questions surrounding Qalatga Darband. For now only Nuraddini and student Rzgar are left pottering around the abandoned equipment at the site, their lone companion a fisherman drinking tea in the shade of his pick-up. They are hoping that the Iraqi and Kurdish authorities can patch up their differences, which will mean a lifting of the ban on flights to the region. "If this suspension lasts for a long time I fear it will have a negative impact on our work," said Rzgar. "When the team return then the golden age of archaeology can resume."